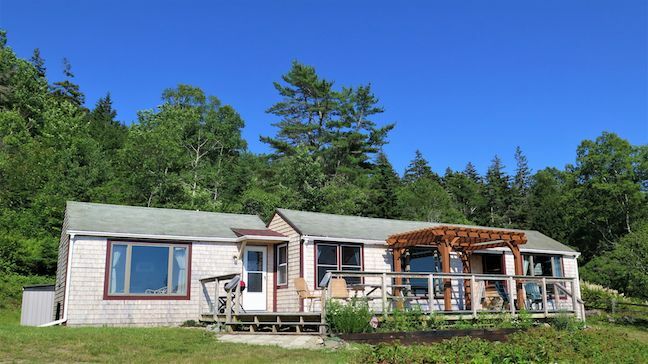 DESCRIPTION: Sealport Cottage is a magical place of sparkling days and starry nights with wonderful ocean vistas on the "Quietside" of the Island, a family summer home owned and loved by the same family for over 50 years. Sealport is 2nd, newer home of a former two home family complex, divided by landscaping and split rail fence. 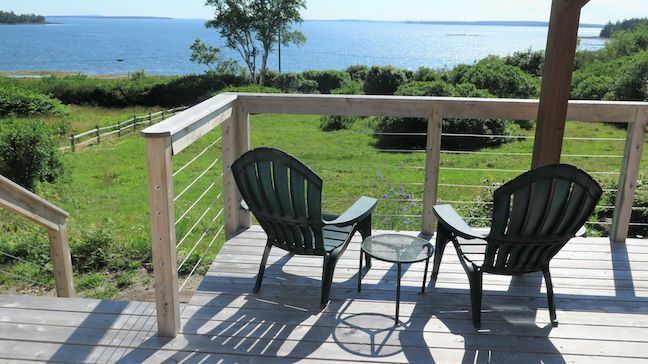 Facing across Seal Cove and Blue Hill Bay with spectacular ocean views from the porch, there are quiet woods outside and inside rustic wood walls and comfy rooms. Private off street parking and a large deck are ideal for watching blazing sunsets with family, friends and a cool beverage. A short stroll to the beach, public landing and boat launch is perfect for kayaks, bikes, picnics, swimming and other outdoor adventures. Welcome to Sealport, your port for the perfect Maine summer getaway. LAYOUT: Charming living room with picture window ocean views, puzzles, books and games and kitchen, dining area provide a full service cooking kitchen, appliances and bar area. 2 bedrooms each with a king bed. 2 bedrooms each with a twin bed. 2 full baths, 1 with standup shower and claw tub and other with shower (no tub). There are two separate wings, each with their own entrance. SPECIAL CONDITIONS: No cooking of lobsters inside of the property.